"It is composed of Martial Arts and Police Instructors and sworn city, state, federal, armed forces police officers, and corporate security specialists. " Rônin Police Defensive Tactics Association (RPDTA) is a specialized group composed by martial artists currently employed and former members of the Law Enforcement, Military and Intelligence Communities of the United States. RPDTA is dedicated to the professionalization of law enforcement, military and private security personnel in the United States and abroad through an extensive and comprehensive academic offer. RPDTA is divided in two sections, trainers and operators; both sections are ready to assist governments and the private sector with their security and operational needs worldwide. RPDTA membership is obtained by invitation only and subject to background investigation. A results driven, bilingual (English/Spanish) retired Federal Law Enforcement executive with vast experience in domestic and international training and curriculum development. This include tactical planning and implementation management, background investigations, crisis management, emergency preparedness, security and related countermeasures, narcoterrorism, mentoring and motivation, undercover operations, street safety and survival techniques, selfdefense and close quarters combat courses, anti-terrorism, intelligence gathering, development and maintain confidential informants and gangs investigations techniques. January 2015 to May 2015 – Engility Independent Consultant – LE Curriculum & Course Developer (Level 14) International Criminal Investigative Assistance Program (ICITAP) Mexico. As Course Developer for the Mexican Law Enforcement and Court authorities, I along with the others developed training courses for the police taking in consideration their own “Codigo Penal Acusatorio” (Criminal Penal Code) and verbal court hearings. All these courses were given to vetted and polygraphed police and court personnel. September 2014 to December 2014 – Engility Independent Consultant – Senior Law Enforcement Advisor (Level 15) International Criminal Investigative Assistance Program (ICITAP) El Salvador, C. A. As Senior Law Enforcement Advisor (SLEA) for the Salvadorian Transit Crime Task Force composed of all vetted and polygraphed personnel from the PNC, I serve as an advisor, mentor and provide guidance to the members in matters of law enforcement investigations, proper utilization of related equipment as well as roll call training if it is necessary. I coordinated polygraph examinations to all the Task Force personnel. As a SLEA, I managed the use and accountability of tactical training equipment as well as prepared by-weekly reports as well as course’s curriculum and lesson plans. I also assisted the Business Crime Task Force’s SLEA. April 2014 to August 2014 – Engility Independent Consultant – Training Coordinator/Instructor (Level 14) International Criminal Investigative Assistance Program (ICITAP) El Salvador, C. A.
I was responsible to coordinate, develop and teach the Salvadorian National Civil Police (PNC) officers, Court Security and Prisoner Transportation (PPI) officer’s courses, lessons plans and courses curriculum including tactical ones. Based on my martial arts background as well as field Federal US law enforcement, I was able to developed, implemented and personally taught a Police Self Defense (Close Quarters Combat) 40hrs courses for unarmed off duty officers with an outstanding acceptance by the PNC high ranking officials. Also coordinated, participated and/or taught other courses such as: i2 Analyst Notebook 24hrs course; Undercover Techniques and Tactical Surveillance 80hrs course; Court Security 24hrs course; Protection Detail Planning during High Risk Situations 40hrs course; Interview/Interrogation Tech. 24hrs course; Crisis Negotiations 40hrs course among others. I was responsible for the ATF firearms smuggling investigations group within the US Embassy and Consulates. I coordinated multiple training activities covering firearms and explosives identification, tactical law enforcement operations, defensive tactics techniques, undercover operations, firearms investigations and explosive smuggling investigations. These were provided to both US and Mexican personnel. I was the lead investigative agent in the largest seizure of live hand grenades ever conducted within Mexico. The investigation identified, arrested and convicted a US citizen who was the main conspirator living in Mexico. I was one of the consultant for the implementation of the first undercover operative training course for Mexican LE Authorities. Additionally, I interviewed and interrogated several mass murders obtaining full confessions leading to the arrests of other conspirators. Became member of Anti-Narcoterrorism Group. I investigated violent crimes, gang related crimes, arson crimes, firearms smuggling, explosives crimes, supremacist groups investigations and investigated armed career criminals, generate and gather intelligence information. On frequent basis met with others Intelligence Officers from other LE authorities to share information and developed effective strategies plans and projects for a more efficiency approach to investigate such groups. During one particular investigation I went undercover and purchased 32 live destructive devices which resulted in the conviction of seven members of three White Supremacist Groups. I was assigned to the Tampa FBI Field Division for six years. During that time I conducted a gang investigation which resulted in the arrest and conviction of 59 Latin King Gang members. During another undercover investigation I was hired by a former US Marine Sgt. to, by the way of arson, kill 22 persons inside an establishment. The subject was arrested and convicted of multiple counts of attempted murder. Additionally, I conducted several undercover, tactical operation and peer support training courses at the ATF Academy at Federal Law Enforcement Training Center (FLETC), Glynco, Georgia. I was responsible for two ATF Law Enforcement (LE) offices as well as the High Intensity Drug Trafficking Area (HIDTA) initiative which contained 30 ATF personnel including Special Agents, PRPD Task Force Officers, Administrative and Support Specialists. During this time, I supervised the explosion investigation within a local shoe store which killed 34 persons. It was determined that in was an industrial accident. I supervised the undercover investigations that led to the arrest and conviction of seven corrupt PRPD officers for trafficking in large amount of heroin trafficking that led to the seizure of multiple firearms, narcotics and large amount of cash. Got training in International and Domestic Terrorism. I was simultaneously the Field Training Officer (FTO) of five recently hired ATF Special Agents. I conducted criminal investigations of US Federal Firearms, Explosives and Arson laws. I conducted sensitive and confidential investigations. I was the lead case agent of gun smuggling investigation within the PR State Penitentiary that resulted in the seizure multiple firearms, one of which was used in the murder of a PR Correctional Officer. This seizure resulted in the arrest and conviction of two inmates and one corrupt Officer. As a spinoff of this case I opened an OCDETF/HIDTA investigation that culminating in the arrest of an additional 60 inmates and 12 corrupt PR Correctional Officers that were smuggling narcotics and weapons into the penitentiaries. I also conducted a crime statistical study, including staffing, equipment and a budget of 2.5 million dollars for the establishment of an ATF Satellite Office at the west side of PR. From 1992 to 2011 I was an active Operator and Crisis Negotiator for the ATF Special Response Team Group 5 (SRT/SWAT) including Riot Control and Fugitive Tactical Training. Also conducted multiple LE courses to other Federal and State Police Departments. I conducted criminal investigations of US Federal Firearm, Explosives and Arson laws. I executed and served search warrants, served subpoenas and summonses made arrest without warrant and made seizures of property subject to forfeiture according to law. I was the lead case and undercover agent during the first ever seven ATF nationwide Home Investigations cases leading to the arrest and convictions of twenty three criminals, mostly Mariel Refugees. I was also the lead investigator that identified and a disrupted active US Army soldier that traveled from Texas to Key West with several destructive devices. He was planning to commit suicide by detonating them in a public and crowed park. I was able to convince him to turn himself in. I assisted the Key West PD in the safeguarding of the destructive devices. I developed, cultivated and maintain the largest cadre of confidential informants in the Miami ATF Field Divison. 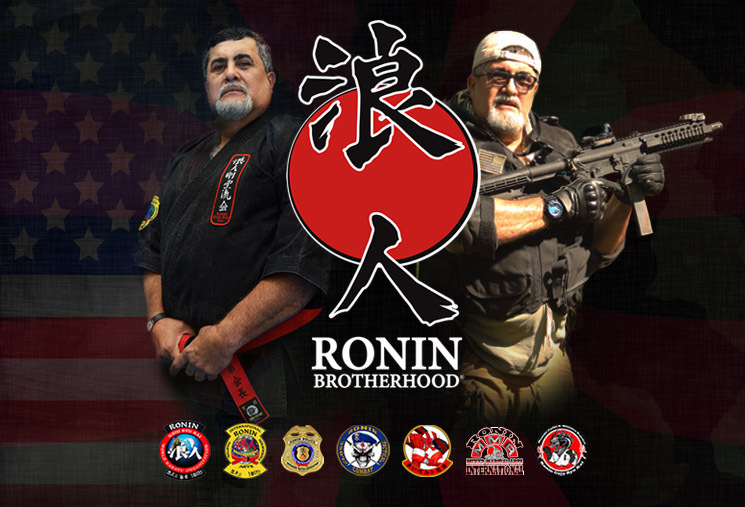 I established Ronin Brotherhood LLC, Florida which is a corporation dedicated to teaching Defensive Tactics, Martial Arts, Self Defense, Oriental Weaponry, Body Guarding to Law Enforcement, Military Personnel and Security Personnel. Presently this company has over a thousand (1000) instructors in twenty five (25) countries. I was part of Protective Details for high visibility persons such as: Five (5) US Presidents (Carter, Reagan, Bush Sr. Clinton & Bush Jr.) Cuban President Castro; Nicaraguan President Ortega and Panamanian President Del Valle. As well as the POPE John Paul II. Also for personalities such as pop star singer Rick Martin, Latin singing group “Menudo”, actor Lou “Incredible Hulk” Ferrigno, rock star Peter Frampton, Latin singers Jose Jose, Jose Feliciano and Iris Chacon. Advanced Undercover Techniques; Street Self Defense for Undercover Operations; Close Quarter Combat; SRT/SWAT Tactical Training Courses; Street Safety & Survival Courses; Firearms Identification Classes; Street Gangs Investigation & Identification School; Vehicular & Foot Surveillance School; Arrest & Control Techniques School; Pressure Point Training (PPCT & CATS); Counterterrorism Course; Felony Vehicle Stops and Extractions Techniques; Tactical Entry & Structure Clearance Techniques; Ground Avoidance Techniques; Speed Cuffing Course; Interview & Interrogation Techniques; Confidential Informant Development & Control; Executive Protection Detail Course; Criminal Intelligence Gathering Courses; Peer Support for Critical Incidents Seminars; Crisis Management and Negotiation Techniques. + First ATF Field S/A with more than 25 years of service whom never lost a case in US Courts. + Nominated for “4 Medal of Valor” & “4 Hostile Incident Award” all at one time. + Appearance in “Ripley’s Believe it…or Not” and “Back from the Dead” books including CNN. I supervised seven employees Loan Department employees, reviewed job applications, conducted office inventory, prepared daily and weekly reports, I also evaluate Loan applications for approval or denial, conducted interviews and contacted customers. I taught Karate, Self Defense as university PE credit hours classes from 1974 to 1981.
c. Proper training while wearing full police tactical gear. c. Disguise techniques to avoid detection. Se enseñaran técnicas y tácticas seguras mientras se acercan a vehículos de alto riesgo para la aprehensión de sus tripulantes. a- Ejercicios prácticos utilizando vehículos Sedan 4 puertas, Camioneta/Van y vehículos de transporte público. b- Que mandatos y directrices se utilizarán con los tripulantes. c- Como ejecutar la extracción de tripulantes de una manera segura y eficaz. a. Ejercicios prácticos por equipos mientras utilizan todo su equipo táctico incluyendo armas cortas y armas largas. b. Estructuras de edificios comerciales, residenciales y apartamentos (multi-pisos). c. Manera correcta para penetrar utilizando equipo (Penetración a través de puertas y ventanas). d. Manera correcta de utilización de linterna de mano durante operaciones nocturnas. a. Nivel I (A pie). b. Nivel II (En Vehículos). c. Nivel III (A pie y Vehículos). a. Ejercicios prácticos de técnicas de cómo evitar ser llevado al piso. b. Ejercicios prácticos de combate de piso y técnicas de control del sospechoso. c. Entrenamiento correcto mientras el estudiante está usando todo su equipo personal táctico policíaco. d. Ejercicios prácticos de contacto corporal. a. Movimiento o desplazamiento táctico (arma corta, arma larga). b. Recargar tácticamente (arma corta y arma larga). c. Uso correcto de cobertura y como ocultarse. d. Técnicas defensivas de combate contra cuchillo (IEW). 6- Técnicas y Tácticas de Vigilancia (40hrs). a. Técnicas para manejar las vigilancias (estáticas o en movimiento). b. Técnicas correctas de vigilancia (a pie, en vehículos, aéreas). c. Técnicas básicas de disfraz para evitar ser detectado. a. Ejecución táctica de registro/cateo. b. Manera correcta para esposamiento para transportar. c. Manera correcta para coordinar y transportar arrestados de alta peligrosidad. d. Manera correcta para la transportación de arrestados de lugares de alta incidencia criminal. a. Utilización correcta y ubicación del equipo personal táctico. b. Uso correcto de equipo táctico para operaciones de alto riesgo. c. Communicación táctica no verbal. d. Movimiento y traslado táctico. b. Técnicas de Esposamiento Rápido (Menos de 2 segundos). c. Técnicas de esposamientos múltiple. a. Uso y ubicación correcta de equipo de control de motines/manifestaciones. b. Formaciones policíacas y movimientos tácticos. c. Técnicas seguras de registro/cateo. d. Técnicas para control de motines en instituciones carcelarias. e. Coordinación policíaca para intervenciones.